SharePoint Server 2019 has been updated to a modern experience first introduced in SharePoint Online. Some differences between the modern experience in SharePoint Server 2019 and the classic experience of SharePoint Server 2016 are detailed below. For more updates beyond the comparison of modern to classic, see New and improved features in SharePoint Server 2019. You'll notice the modern experience in several (but not all) features of SharePoint. The modern experience is designed to be compelling, flexible, mobile, and easier to use. There is not a 1:1 mapping of all classic to modern experiences. This article explores differences between classic and modern experiences, and offers suggestions for moving to modern experiences. Note: If you are a SharePoint administrator, you'll find helpful information and tools in Modern experience customizations and Modernize your classic SharePoint sites. 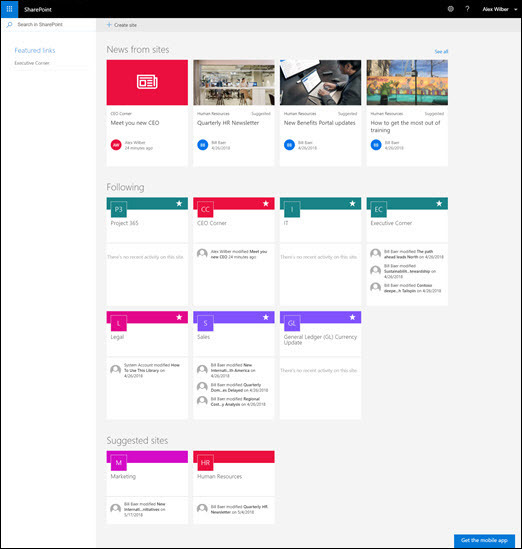 The SharePoint home page is a modern experience where you can easily find and access SharePoint sites within your organization. You'll also find news from the sites you're following and from suggested sites. Additionally, you can create sites from this page (if your administrator has Manage site creation in SharePoint Online to do so). Learn more about what you'll see and how to use the home page at Find news, sites, and portals in SharePoint. The default lists and library experience is optimized for your most common tasks. Copy and move files using the command bar. Pin documents, add files as links, filter and sort easily, and apply formatting to columns. There are some classic features that are different or not available in the modern view. These include some column types and some customizations. For more detailed information, see Differences between the new and classic experiences for lists and libraries. To switch between classic and modern views of lists and libraries, see Switch the default experience for lists or document libraries from new or classic. Modern team sites are more collaborative than ever. They come pre-populated with modern news, quick links, and site activity. As with all modern features, team sites are optimized to look great on mobile devices. 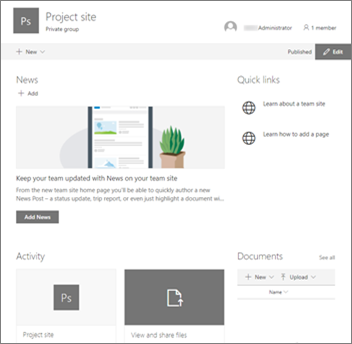 To learn more about all the great features, see What is a SharePoint team site? Home page When you create a classic team site from the team site template, web parts for Announcements, Calendar, and Links are automatically added to the home page, while on a modern site, you get a section for News, Quick links, Site activity, and a Document library. Branding Using company branding on SharePoint team sites is very common, and for classic sites you may have used site themes, alternate CSS, and master pages. While these elements are not supported on modern sites, there are new and easier ways to perform site customization and branding. As an example, you can quickly and easily customize the colors of your SharePoint site by changing the theme to reflect your professional style and brand. 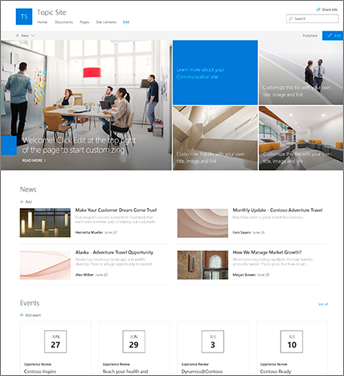 For more information on working with themes, see Change the look of your SharePoint site. 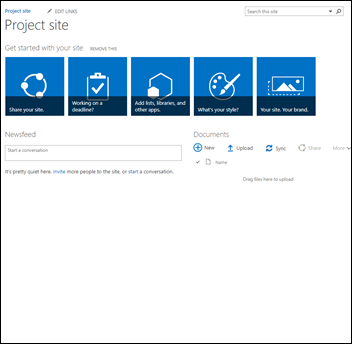 For information on how to create custom themes, see SharePoint site theming. Some of the other differences between classic and modern team sites include faster site provisioning, in-line editing of the quick start menu, and more. There's not a 1:1 mapping between all features on a classic site and a modern team site. But site collection administrators can update the home page to the new home page experience. To do so, create a modern page with the web parts you want and then set it as the home page for your classic site. For more in-depth information and tools, see Modernize your classic sites. A communication site is a great place to communicate information out to others. You can share news, reports, statuses, and other information in a visually compelling format. The purpose of a communication site is similar to the purpose of classic publishing sites, but there are many differences. In general, Communication sites are simpler to create and don't rely on publishing site infrastructure. A SharePoint publishing site is typically used to create intranet and communication portals. Publishing sites are typically more structured, and built using a master page and site publishing template. Because a publishing portal is a site collection, it may also include sub sites. To create a publishing site, publishing features must be activated. A complete solution for a publishing site may involve deeper design and development work to create custom master pages and design page layouts. A communication site doesn't rely on activation of publishing features; doesn't use a master page; and is generally less structured. It is designed to be used without sub-sites. It uses modern pages and web parts. While there is less structure and enforcement on a communication site, it is easy to create a beautiful, mobile-ready page without code. It is created with one of three templates: Topic (with web parts to get you started sharing information such as news and events), Showcase (with web parts to use photos or images that showcase a product, team or event), or Blank to create your own design. There is not a 1:1 mapping between publishing sites and communication sites, and no automatic way to update publishing sites to communication sites. By default, modern page functionality is not enabled on a SharePoint publishing portal. When you're ready, we recommend you plan for and begin creating new communication sites as needed. Learn more about creating a communication site in SharePoint Online. Modern pages provide a fast, easy way to build responsive pages using the functionality of modern web parts. Pages are similar to classic web part pages and publishing pages, but are less structured and easier to create. To learn more about modern pages, see Add a page to a site. 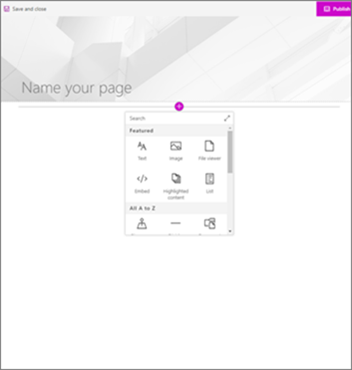 If you are not able to create a modern page, your administrator may have turned off the ability to do so. Administrators can see Let users create modern site pages for more information. For developers, the SharePoint Framework allows for the building of custom modern web parts that show up right in the web part toolbox. The SharePoint Framework also allows for custom extensions and use of the Microsoft Graph API. Additionally, developers can check out the SharePoint starter kit, where you'll find as solution that includes numerous web parts, extensions, and other components that you can use as an example and inspiration for your own customizations. Mobile ready Unlike classic pages, modern pages (and in fact all modern features) are designed to be responsive and look great on mobile devices. Get the mobile SharePoint app. Layout When you create a classic web part page, you choose a layout with web part zones to use. The layout can't be changed after the fact. With modern pages, the layout is flexible and can be changed at any time. Wiki pages Another type of page in SharePoint Online is a Wiki page. There is no modern equivalent of a Wiki page. At this time, there is not a way to change a classic page into a modern page without using a multi-step code solution, which may work well for IT Admins and developers. If you are neither of those, we recommend you gradually start planning for and creating modern pages as needed. 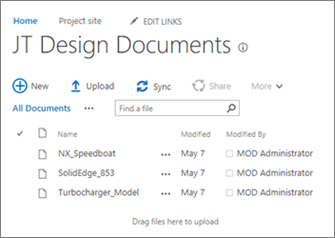 SharePoint workflows and Microsoft Flow are both designed to automate business processes, like routing documents for approval. Both continue to be available in SharePoint Server 2019. With Microsoft Flow, it's easier than before to automate processes without extensive developer resources. 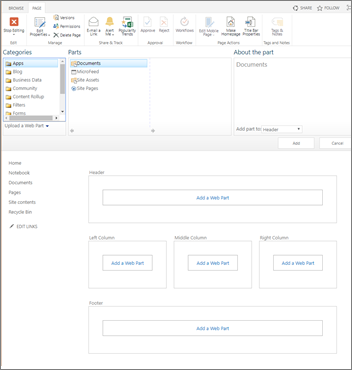 To learn about Microsoft Flow, see the Microsoft Flow documentation. 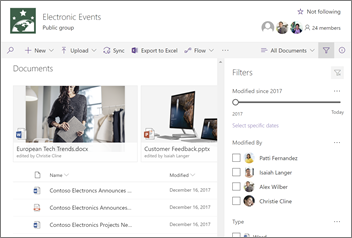 In addition to the classic search experience, SharePoint Server 2019 comes with a modern search experience. In the modern search experience, you’ll see results before you start typing in the search box, and the results update as you type. The search results page shows a compelling overview of search results, grouped by type, and it’s easy to expand to see all the results of each type, for example people. Learn more about what you’ll see. 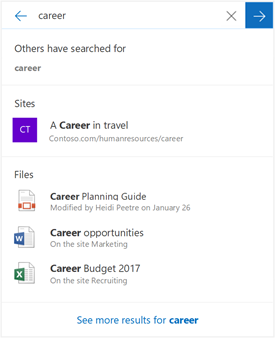 You find modern search boxes on the SharePoint home page, communication sites, and modern team sites. Certain classic search features are different or not available in modern search. Learn about the differences between classic and modern search experiences in SharePoint Server.